We have some very exciting news to share this holiday season. BlackRidge has partnered with Santa to secure critical data that is vital to the operations of his North Pole headquarters and protect his Nice List from naughty hackers. Check out the announcement below for more details on how the partnership works, and keep an eye under your tree on Monday night to see the results for yourself. NORTH POLE – Dec. 21, 2018 -- BlackRidge Technology International Inc. (OTCQB: BRTI), a leading provider of next-generation cyber defense solutions, has partnered with Santa Claus, the world’s leading multinational Christmas gift delivery system. Santa’s North Pole-based data center will be protected by BlackRidge’s patented Transport Access Control (TAC) technology, which authenticates user and device identity and enforces security policy at the start of a network session. Enforcing network microsegmentation using identity is a critical component of security which grow along with the complexity of networks. Santa implemented BlackRidge Technology’s leading next-generation cyber defense solutions to protect and secure critical data that is vital to the operations of his North Pole headquarters and its complex 24/7 global supply chain, which experiences a tremendous spike in demand on Christmas Eve. The TAC solution from BlackRidge gives Santa peace of mind, knowing that he has end-to-end security that proactively isolates the cloud services he uses, protects his servers and segments his networks. “As the volume and sophistication of data breaches continues to increase, and as younger and younger children demonstrate remarkable hacking skills, we felt the time had come to make absolutely certain that no naughty children could gain unauthorized access into these lists and change their results,” added Santa. 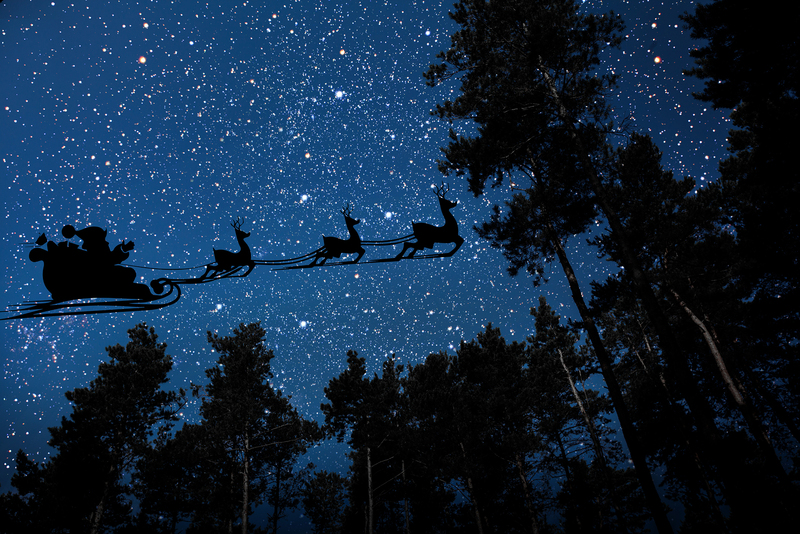 With the company’s background in military-grade and patented network security technology, BlackRidge Technology was also a natural choice for securing Santa’s sleigh. TAC is well-suited to protect remote endpoints, working end-to-end across network and cloud boundaries to block scanning, discovery and access from all unidentified and unauthorized devices and systems, effectively cloaking the sleigh from anyone who might want to keep his reindeer grounded rather than face coal in their stocking. BlackRidge Technology will do its part to help make sure Santa is protected. All you have to do is leave out those cookies for Santa and carrots for the reindeer. And be good, for goodness’ sake. BlackRidge Technology provides an adaptive cyber defense solution that enables our customers to deliver more secure and resilient business services in today’s rapidly evolving technology and cyberthreat environments. The BlackRidge Adaptive Trust solution provides end-to-end security that proactively isolates cloud services, protects servers and segments networks. Our patented First Packet Authentication™ technology authenticates user and device identity and enforces security policy on the first packet of a network session. This new level of real-time protection blocks or redirects unidentified and unauthorized traffic to stop attacks and unauthorized access. BlackRidge was founded in 2010 to commercialize its military-grade and patented network security technology. For more information, visit www.blackridtge.us. Santa Claus is the world’s leading multinational Christmas gift delivery system. Headquartered at the North Pole, Santa employs thousands of elves who diligently, year-round, build toys for the hundreds of millions of children around the world who make it onto Santa’s patented Nice List™.